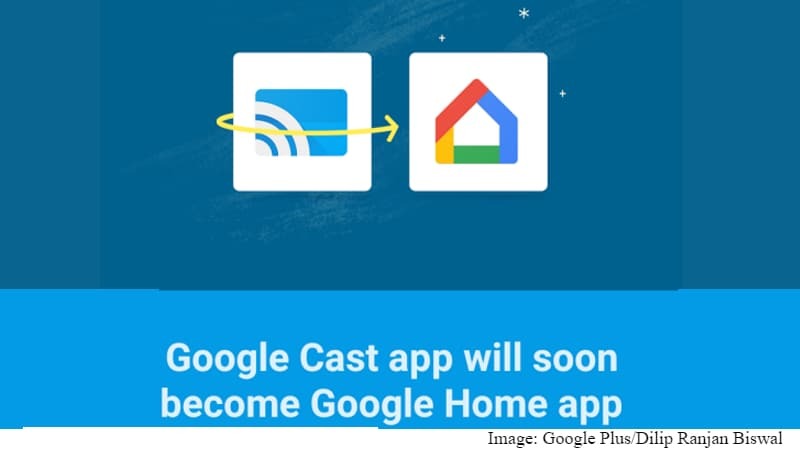 As expected, Google Cast app is being renamed Google Home. The app users are receiving notifications that the tech giant is rebranding the app to Google Home in the next few weeks. The Google Cast app is informing its users that the icon, logo, and name will change to Google Home. This change ushers in as Google looks to give control of the new Google Home speaker, and all Chromecast devices through just one app – Google Home. The death of the Cast app was leaked earlier already, and the change was only impending. A Google Plus user named Dipti Ranjan Biswal shared a screenshot of the notification, revealing the new Google Home app logo, and confirming the change. According to the screenshot, the change will occur in the next few weeks, so don’t expect it to show up immediately. For now, the Google Cast app is still available to download on Google Play and App Store. After unveiling it at I/O earlier this year, Google officially launched the Google Home speaker in US. Powered by Google Assistant, the Wi-Fi enabled speaker responds to voice commands and manages tasks of users. It answers queries; books hotels, flights, dinner reservations; and even plays music on request. The device has been priced at $129 (roughly Rs. 8,500) in the US. Google Home is up for pre-orders currently, and the tech giant looks to start shipping it by November 4. There is no word on when the smart speaker will arrive in India, however the company looks to release them in the UK soon.